Judyth Piazza interviews Frank Beddor, Author and Creator of Zen of Wonder and the Producer of the 1998 comedy, `There`s Something About Mary` on The American Perspective Radio Program. Literary sleuth and world creator Frank Beddor dared to expose the true story of Wonderland in his novels The Looking Glass Wars, Seeing Redd, and Arch Enemy. To satisfy the awakened curiosity of his readers he continues to tell the parallel adventures of Royal Bodyguard Hatter Madigan`s search for the lost princess in the geo-graphic novel series Hatter M. He currently resides in Los Angeles. 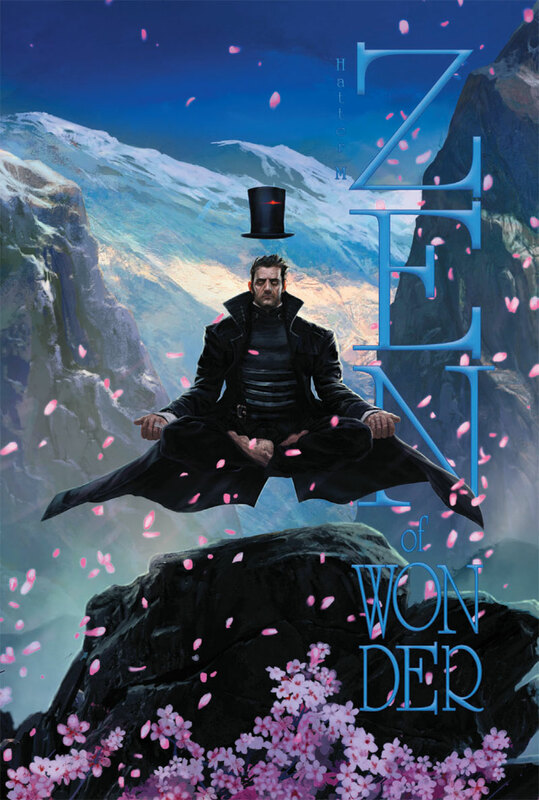 Everyone who has pledged (or will pledge) to the Zen of Wonder Kickstarter has been assigned a number based on when they pledged. Over the past few weeks, the hat has been filling up with your numbers. At the close of the campaign we will have a drawing. Frank will reach into the hat, pull a number, and one lucky future-Milliner will receive Hatter Madigan`s top hat! This will be done on video so it can be verified by your very eyes, and then posted on Kickstarter. Pledge now for a chance to win the free hat! During the interview Judyth asked Frank, "What has been the most rewarding aspect of your career so far? What is the most important lesson you`ve learned from your career? What has it been like working with Nathan Fillion? Out of all the people you have worked with, who is someone that really stands out today and why?" Listen here on The American Perspective to hear what Frank has to say.